Richmond's City Council is being asked to vote on a request that state lawmakers let the city decide whether to take down statues of Confederate leaders. The council is expected to vote on the proposal Monday night. 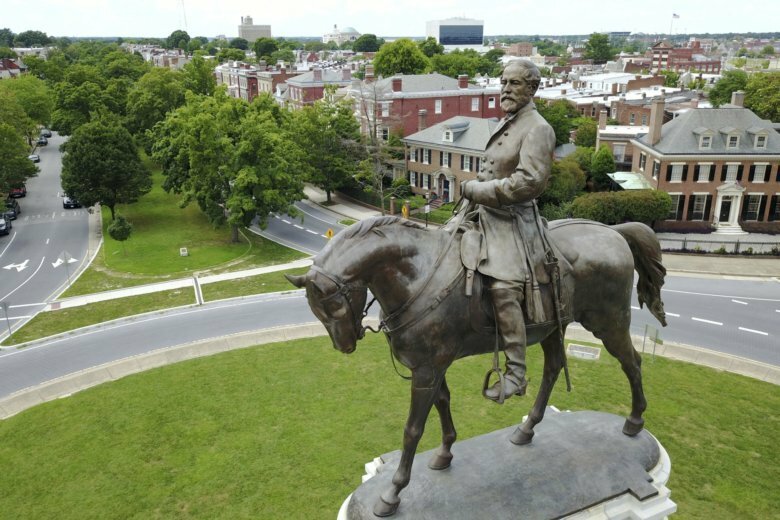 RICHMOND, Va. (AP) — Richmond’s City Council is being asked to vote on a request that state lawmakers let the city decide whether to take down statues of Confederate leaders. The council is expected to vote on the proposal Monday night. State law limits the power of local governments to remove or modify war memorials. The Richmond Times-Dispatch reports that if approved, the request will be included in the city’s legislative wish list for the next legislative session. A deadly 2017 white nationalist rally in Charlottesville prompted legislation that would empower localities to make their own decisions on Confederate statutes. But those bills foundered in the Republican-controlled General Assembly. A commission’s recommendations — including removing a statue honoring Confederate President Jefferson Davis on Richmond’s Monument Avenue — can’t be fully implemented under state law.